As a big fan of Michael Bay's previous film between Transformers movies, I've been looking forward to seeing what he does next away from the Autobots. When we learned Bay's next project was going to be something of a Benghazi war story based on actual events it was surprising, but in a strange way made complete sense. Bay has always been an action director first and foremost and no matter how bad of a rap the guy gets, he is one of the best action directors working today. He is an auteur in his own right and even if you don't care for many if any of his films one must at least admit they are gorgeous to look at and can be insanely fascinating if not for the story they present, but the thoughts going through the directors mind in order to create something as bombastic as Bay typically does. 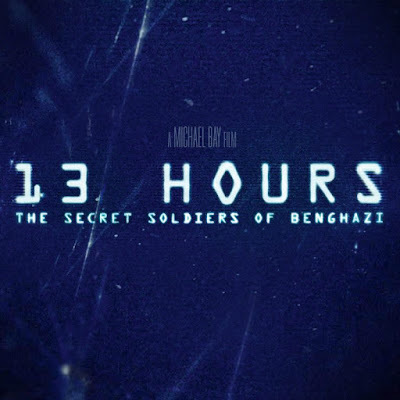 With the blandly titled 13 Hours that features an even cheaper feeling subtitle in The Secret Soldiers of Benghazi, Bay enters territory that melds his take on true stories with that of what he has been perfecting his entire career. John Krasinski leads the film that tells of the six members of the military security team that fought to defend the Americans stationed at the embassy in Benghazi when it came under attack. It is also of note that Chuck Hogan (The Town) wrote the script while the Bay imagery is still fully intact if not looking like something akin to American Sniper or Zero Dark Thirty in it's tone if not it's aesthetic. James Badge Dale (Iron Man 3), Max Martini (Pacific Rim), Pablo Schreiber (Orange Is the New Black), and David Denman (The Office) fill out the rest of the main players with the film set to hit theaters on January 15, 2016.